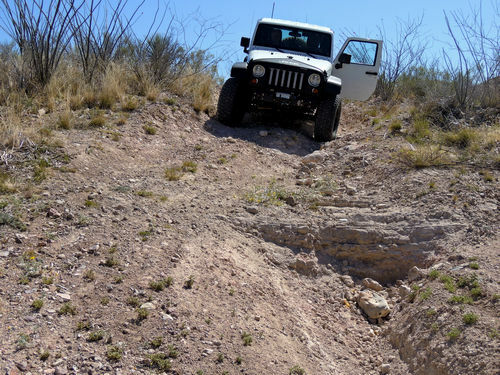 An easy, but scratchy, Jeep trail to an abandoned Buddhist cabin and a natural spring. Empirita Ranch is 3,000 acres owned by Pima County to protect wildlife habitat, provide sustainable cattle grazing and slowing urban sprawl. 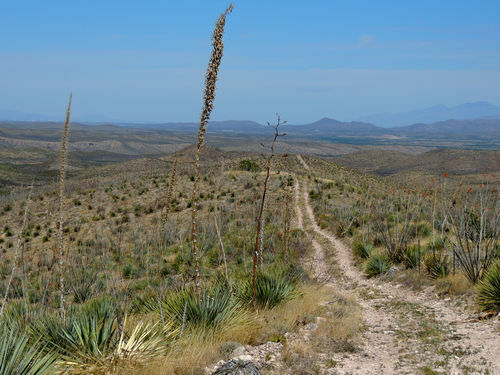 This trail passes through the ranch, and a permit is required to unlock a gate. ​There is GPS - GPX file at the bottom of this page. You can park at Waypoint 020 for the spring. The short dead end trail on the left has room for a number of rigs. I do not know how far the road on the right goes, but I think it ends not too far away. 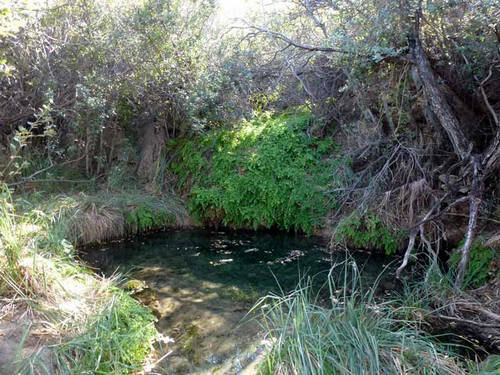 To get to the spring, head to the northeast and down into the small creek, maybe 50 feet away at most. There's a well worn trail. Once you get to the stream, head upstream (on the left side) for another 50 feet or so until you get to the spring. His Waypoint 020 is the end of the dead end spur shown on this track. He says to head northeast, but probably meant northwest as that would be downhill. We did not find a well worn trail and (foolishly) were not dressed for bushwhacking. Everything about Experience Arizona has been good so I am sure the spring is there. Matt contacted me after reading the above: I read your story on Wakefield Canyon and that you couldn’t find the spring. It is TOUGH to find, especially when it’s drier than the time we originally went. We went back there about 4 months ago [This would be winter 2015-2016] and even though I had been there before and knew where it was, it still took me 30 minutes to find it. The original time we went visited the place, there was some biologists doing a study on it and the trail was much more visible (due to their foot traffic) than it is now (I thought it was that way all the time, but I guess not). The trail is still visible, but tough to find. And with it being drier, although the spring still had water in it, it wasn’t as green as the original picture. It is definitely upstream (uphill) from the parking area though. 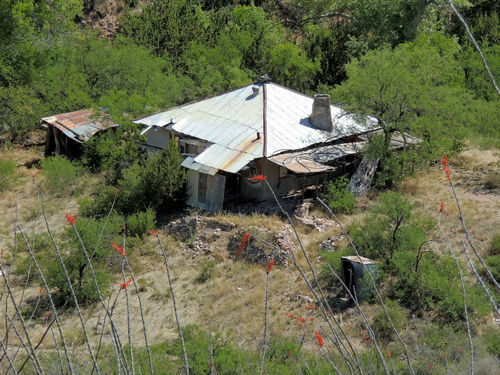 ​The other major attraction on the trail is an abandoned cabin. 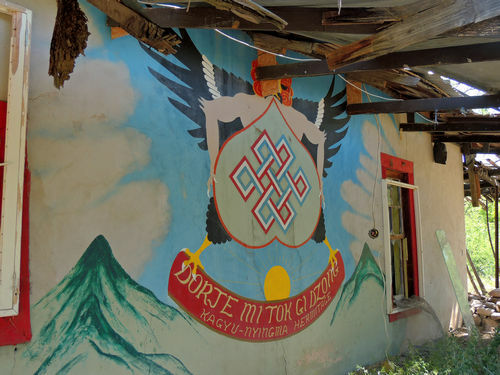 We do not know the history of the cabin, but the mural would suggest something to do with Buddhism. There is only one spot on the trail with any difficulty, and I did not think it rated anything higher than 2.0. Much of the trail follows along high ridges, offering great views of the surrounding area.